Praise the Lord I got to Nairobi, Kenya without a hitch. Now I need to leave in 30 minutes for the airport due to heavy traffic on the road. I am leaving for Uganda. Tonight (we are 7 hours ahead of EST) I will be speaking on Genesis 50 and bitterness on the radio. Tomorrow (Saturday) there will be 5 sessions with about 100-150 pastors/evangelists on discipleship. Thanks also for keeping my family in prayer. I feel like being thrown through a time tunnel, entering another world, stepping in for a brief moment and being thrust back through. ￼ The trip to Uganda went well, though still adjusting from the lack of sleep and the rough travel. The 3 1/2 hour ride should have been short but due to most of it being under construction. At some point the red dust was so thick one could hardly see in front of the car. We had several hours of red dust coloring our lungs! The radio program and Saturday training went well. ￼The Lord had several leading pastors contact me through the website just before the seminar so they came too. The number was not as high as expected, but those there were very receptive to the Flow discipleship concept. Now they understand spiritual life and how to help believers grow! On the way back, God had a training experience for me. This just happened what I was speaking about on Saturday. It is a little long to describe but bear with me. The experience was very touching, though I was half asleep when it happened (I had to get up at 3:30 am to get a flight). I was on the flight and suddenly an announcement about valuables stimulated my mind. I remembered my money belt was in my luggage! When I took my shower, I was about to put the money under my pillow in the hotel room but figured I might forget it. So I just tucked it quickly into my luggage. I forgot all about it until I heard that announcement. ￼All of a sudden all these thoughts and feelings crept over my mind. “Boy were you dumb. Foolish. Ignorant. Blind.” I had to admit that yes, all that was true. Without the money, could the seminars go on? Satan sure was an Accuser making me feel defeated. The evil one was plaguing my mind trying to convince me of my failures. But the Lord began to remind me of what I was teaching everyone yesterday. God uses special training experiences to help us to know Him more. So instead of worrying, I turned to praising Him, who oversees all things. I entrusted Him for a solution, one way or the other. Instead of being self-focused on my dilemma, I cheerily greeted others (though still doped up by my sleepiness). I didn’t check my luggage at the airport. Only after I was back at the guest home in Nairobi did I open up the suitcase. I felt inside one pocket. It was not there. I felt in the other pocket. It was there and I opened it and counted each of the hundred dollar bills. They were all intact. The lady couldn’t guarantee safety, but our Lord wanted me to see Him as the One who could oversee my safety. What did I learn? It was a deep learning experience. I could perfectly identify with David. He made a lot of mistakes. It was like my prayer. “Lord, yes I was foolish and ignorant and terribly forgetful, but I need your help to get me out of my dilemma.” God showed me His way of working even through my forgetful times. He can still use me–despite my human frailties. Tomorrow we start the three day marriage seminar. 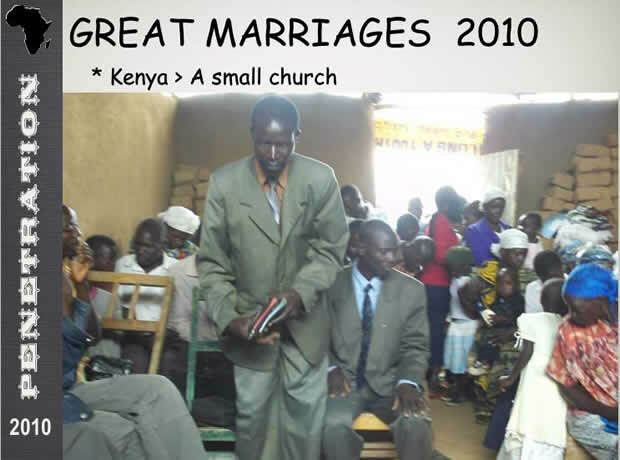 It will be a smaller group of pastors and their wives. Scripture Union went ahead and published two of my books here (parenting and marriage). I believe there will be a special kick off event to sell the books in the area (if they indeed get here from India on time). Praise the Lord for this day of rest. “This has been a very, very touching time for me,” so said the Tanzanian pastor that came to the first day of the “Building a Great Marriage!” seminar. Thank you for your prayers. God has been working in many individuals. Many have come up and told me. I can see the transforming work of God right on their faces and hear it during our times of prayer. 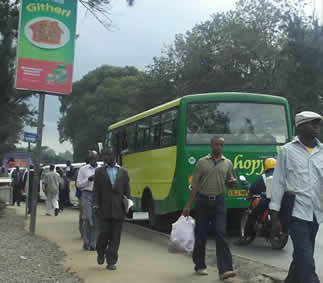 One couple lives only 12 kilometers away, but it took 2-3 hours to get here in this horrible Nairobi traffic. Yesterday we focused on instilling a biblical vision of marriage, its basic fundamental blocks. Today we start dealing with how to get couples to that point since so many are dealing with a lot of past baggage. One dear sister interrupts the messages with powerful down to earth questions. She works in slums and says that many husbands are on drugs or alcohol - derelict husbands. How is a wife suppose to respond? I shuffled this question to Q&A time but that Q&A time is today! May God give wisdom. ￼We are meeting in a gorgeous old church in downtown with beautiful gardens. What a lovely day to stroll through the gardens after eating. Only if my dear wife was with me! Two of our family books are being published here (not India). They will be promoted on a Christian television channel starting today. 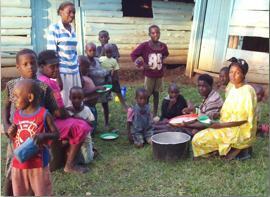 Pray that God does something great in the Christian families across Kenya. Thank you so much for your prayers. It is unbelievable to see God so powerfully at work. We had well over 500 attending but were able to accommodate them all. They were not all pastors, but a good percentage were. God was speaking. You must understand that this seminar was held out in nowhere. One must walk almost a mile to the main road on an expanded path (that a vehicle can with difficult access). And there are very few houses around. I just don't know where they came from. This morning two pastors shared their dramatic stories. Pastor 'Harsh' said he only had harsh words for his wife and family. He now sees how wrong he was. He wants to build a great marriage. Another pastor this afternoon was greatly affected by different truths presented during the seminar. He was going to start working toward a great marriage, one of intimacy. The bonus was that twenty people came forward to accept the Lord at the end! So many told me that they never heard anyone speak on these things before. Thank you so much for your prayers. There have been some severe storms but not right during the seminar. I am doing well. No regular internet contact. But they are taking very nice care for me. One other pastor told me that he (me) killed me last year when he showed me that my church members were not disciples and this year killed again when he learned he was not loving his wife. 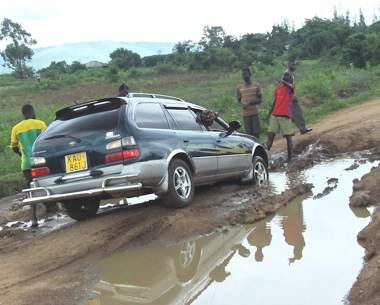 Tomorrow after church I move onto Bondo, the land of Obama I hear. Monday through Wednesday we will hold the last seminar on discipleship. May God bless each of the pastors. We have seen God so marvelously at work. One rather amazing testimony is below, but first allow me to update my circumstances. I just came back to Nairobi after speaking at the last seminar. I am readying my things, having a few mentoring/meetings today and plan on returning to USA tomorrow. I want to be home for my son Benjamin's baptism on Easter. The speaking has been quite demanding, but because of a fairly slow evening, I was able to get some rest each evening. Last Sunday (March 28) I spoke at a village that was 40 minutes out in nowhere. We got stuck in mud, crossed a river and bumped and heaved along this long red path. It certainly would have better to have a 4 wheel drive than the meager car we were driving, but it was (usually) better than walking! Beautiful view. It was a typical small hut church, but it was bulging (in and out) with people. The bishop and pastor came to greet me. A man and woman from the church who had attended the marriage seminar started by sharing how they were moved to make significant changes in their lives. Their testimonies were so moving. The man shared that he didn't know he should love in the bedroom! No one had previously asked me to speak, but I thought I would be asked (and so was somewhat prepared) and was. Praise the Lord that about half of the people came forward seeking freedom from bitterness (same message as the radio show). 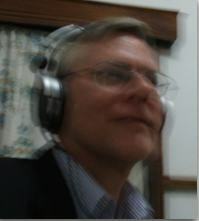 My first message was on a radio show in Uganda. The pastor in Uganda emailed me this testimony in regards to the radio show that you prayed for! This helps you get a better picture of the troubles facing these people. The pastor is speaking. "My husband got another wife two years back and I came to know it I really hated him so much at the point of separating the beds although in the same house. It was really hard for me to forgive him until I heard a message from Radio Sun when a guest from USA with Pastor H. on Friday 19th evening. I was compelled to forgive my husband. I raised up my hand when Rev. Paul was preaching. ￼I had like something was running out of my belly to the feet. It was my marriage turning point. My husband came very late in the night it was 1:00am. I opened the door for him very quickly for in the past one year, he used to knock. I was hearing, but I had hated him. I left with no interest. So this time when he knocked I opened quickly and when he entered, he kneeled down on his knees and begged me to forgive him after he told me in tear the whole story. My family was restored from that day." This lady she was with us this last sunday at church." It is wonderful to see how we financially and prayerfully work together to advance God's glorious healing kingdom. Praise God for His marvelous works. I will send a further update soon on the last seminar but do not want to make this too long! ￼I am often asked, “How will these pastors use these things they learn in the seminars?” The question is good, but to be honest I know only part of the answer. God knows the full answer! The seminar organizers usually have some special purpose to train his pastors so that they can speedily learn and teach these needed topics. They want their best to learn so that they can together teach many others. Let me brief you how this is now working out. 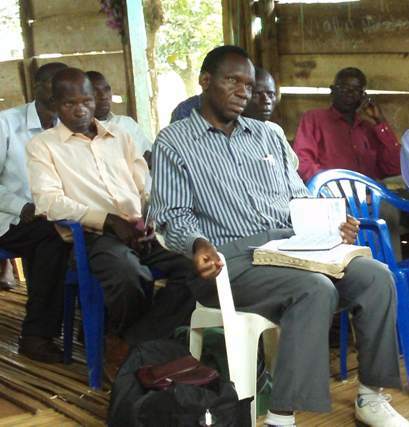 Uganda - the pastor coordinator has already brought his pastors together and planning how they can proceed in passing these discipleship teachings further. He overseas more than 500 churches. 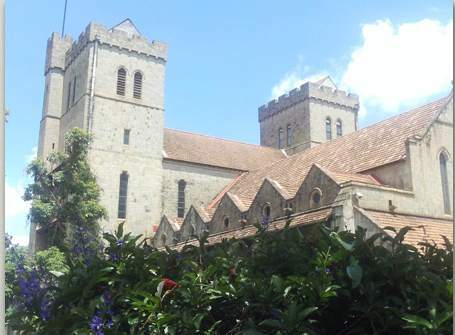 Nairobi, Kenya - Pastor Matthew of Scripture Union, head of family department, is getting our two family books published (we allow full proceeds to help their workers). He has already been training his workers on how to teach parenting and will soon start training them on marriage. 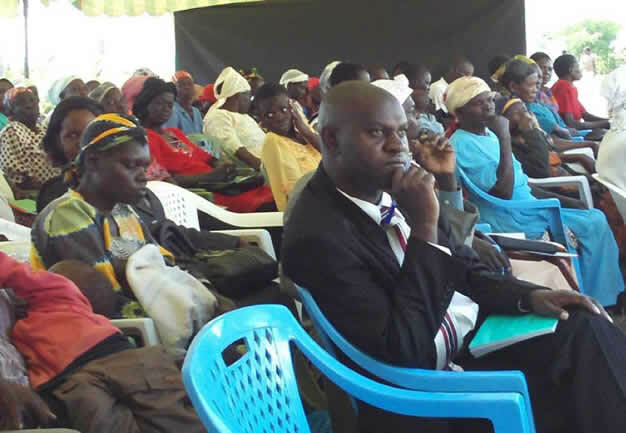 He has already arranged to meet this month with the pastors that attended this year’s seminar to encourage them to take these resources and teach people in their own churches. 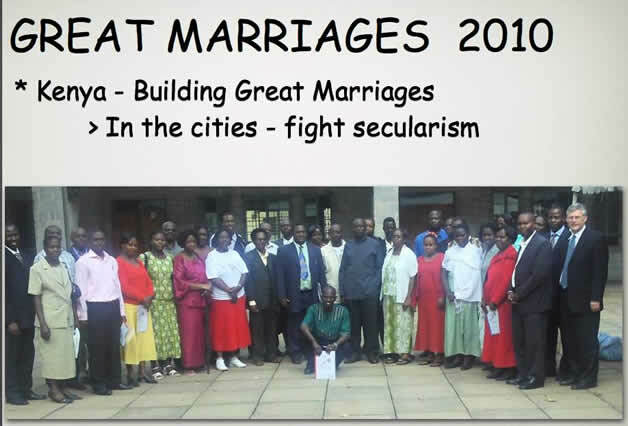 Perhaps there will be a larger marriage seminar next year for anyone. 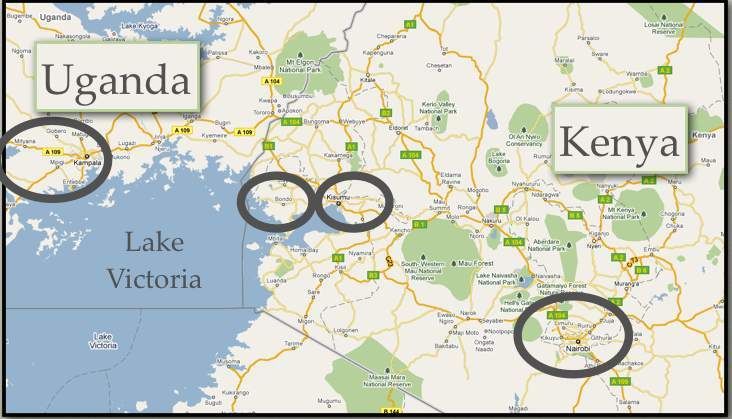 Kisumu, Bondo, Kenya - Pastor Maurice of Manna Ministries has actively been training and deploying his workers to disciple. This effort was greatly moved forward last year after our first discipleship seminar. In Bondo, for example, they had 50 people from the seminar already signed up for a discipleship class that will start later this month. This will include ten people who came to know the Lord during an outreach meeting after the seminar (they are hard workers!). The Bondo seminar went well except attendance was lower than expected. The early meetings were not too well attended because not enough attention was paid to the way they work in their fields until noon time. But still we see God stirring up the people from the response above for the follow-up classes, people coming to know the Lord and many personal comments on how God is working in their lives. We often are unaware as to how God might use these seminars and materials that we provide. Let me introduce you to one such person that I met yesterday. This young 25 year-old assistant pastor traveled a good distance to meet me. 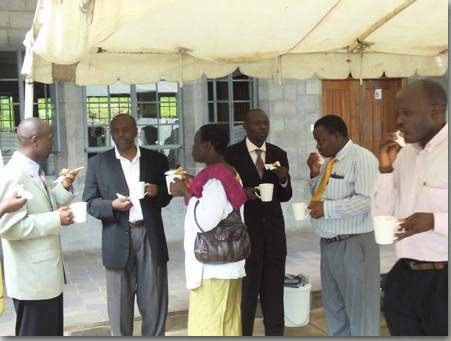 He had attended the discipleship seminar last year in Nairobi. Since then the Lord had him contact me several times via email. I sent a BFF Library to him. He named a number of truths from last year’s seminar that helped him get started discipling. He quoted things that I had taught! I was surprised at his accurate remembering such things. He wanted to meet to pass on appreciation and to get further instruction on a few situations. 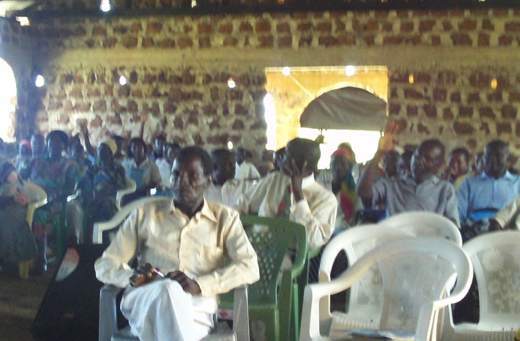 Since coming to the discipleship seminar, Samson began teaching some older boys. At first their parents were concerned their children were learning outside their denomination, but then they saw the improvements in their boys’ lives and are now quite eager for the training to continue. He is greatly changed by the BFF materials. We cannot always see how God will use these materials but through prayer we see God advancing His glorious purposes. I was planning to help teach at a seminar on prayer with an elderly pastor (Moses Yu) in a few weeks time in Virginia. I just got notice, however, that he just passed away. A new main speaker has been found but do pray for this seminar on prayer as the main speaker and I work with each other. Pray for revival of my Chinese! In five hours I begin my long trek home.